Peppermint tea is a very useful tea to drink for indigestion, gastrointestinal problems and preventing flatulence. 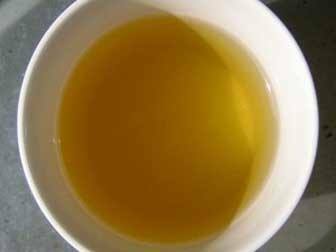 You can make it to stimulate digestive juices and ease stomach cramps and abdominal pain. It has been found to have an anti-bacterial, anti-spasmodic and has a calming effect on the entire gastrointestinal tract. Peppermint tea also encourages the gallbladder to secrete bile, which is used to assist in the digestion of fats. A warm cup of it right before a large meal is a great digestive aid that can really help prevent digestive problems later on. Here are 3 simple ways to make peppermint tea at home and start benefiting from this wonderfully refreshing drink. Also ahead is where to get high strength, organic peppermint tea bags and the best peppermint tea combinations to treat digestion problems. A simple and cost effective way to make peppermint tea is to put a heaped teaspoon of dried organic peppermint leaves into a teapot with a filter or a french press and steep it in very hot water for at least 2 minutes. Longer steeping time will make for a stronger cup of tea and 4 minutes or more is recommended if you’re using it to relieve bloating or intestinal pain caused by digestive problems. You really shouldn’t need any sweetener with peppermint tea. There are virtually no calories in peppermint so why add them. Besides, it tastes great just as it is. Try it a few times before reaching for bacteria feeding and flatulence fueling sugar or highly questionable artificial sweeteners. If you have your own true peppermint plant at home (grown from cuttings as plants grown from seeds are not true peppermint), you can pick around a dozen blemish free leaves, wash them and crush them up with your fingers or back of a spoon to release more of the beneficial oils. Once again place them in a french press or teapot with a filter and steep for a bit longer than with dried peppermint with water that is very hot and steaming but not quite boiling. Let it sit for at least 5 minutes then pour and enjoy. Peppermint tea bags are obviously convenient for traveling (the herb is particularly good for travel sickness too) and easy to take to work, so if you feel you’re more likely to use teabags than the loose leaf tea, they’re worth the little extra. If possible look for unbleached tea bags when making up your peppermint tea. Some of the chemicals used in bleaching paper products are not the type of compounds you want bumping around in your body. It’s true most people will eliminate them without obvious problems, but why give your body extra work when it could be doing more important things for your health and energy. Something else I think is worth a little more is organic peppermint tea. The pesticide load on some cultivated crops that are being tested is a serious health concern. Organic foods and herbs help to minimize your exposure and the difference in price between conventional and organic peppermint tea like these extra strength tea bags with unbleached paper is fractional and well worth it if you value your health. Strong peppermint tea bags like these only need about a minute of steeping time. After that you can take them out and reuse them for a second cup later on. Used like this a cylinder of tea bags like the one above will last more than a month, even if you use them every day. To mix things up a bit there are some other herbs for bloating and digestive issues that go very well with peppermint, both from a therapeutic perspective and in the way they taste together. Peppermint and ginger tea is a popular and particularly good combination for digestion problems. Ginger is quite a digestion star in its own right and peppermint can mellow out the flavor of ginger for those who find it too strong. It’s a good combination and one I personally enjoy regularly. Fennel is another herb that is extremely beneficial in relieving gastrointestinal complaints — bloating and flatulence in particular. Fennel and peppermint tea combined may just be about the best peppermint tea combination for relieving intestinal gas, bloating and excessive flatulence. For some reason not many tea producers have come up with peppermint and fennel combinations. However, you can get both high strength organic peppermint tea and organic fennel tea and use a bag of both in the same cup for a powerful brew that can treat intestinal cramps, IBS and other serious digestive tract problems. So there’s some of the best options for how to make peppermint tea at home and enjoy its many health benefits and positive effects on your digestion. If you’ve never tried it before I hope you’ll give it a chance. It tastes great and is so much better for you than coffee, as the next post on coffee’s negative effect on your digestive system will explain. I hope it works well for you Elly. It seems peppermint oil shouldn’t be taken at the same time as Nexium. Weaker peppermint tea hours after may be ok but check with your doctor. No herbal teas or supplements should be taken at the same time as prescription drugs.